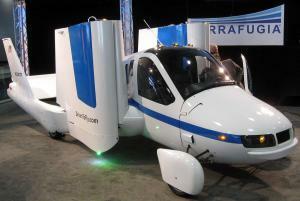 A US manufacturing company is making people’s futuristic fantasises a reality by producing a flying car. The vehicle, dubbed Transition, has been created by Terrafugia and is nearing completion, promising to bring in the next generation of the motor trade industry in the process. The small car, which has been hotly anticipated for several years, can drive normally on the roads and fit into a single garage but can also drop its foldaway wings and take to the skies. While it is unlikely that any UK car dealerships or repair centres will need to concern themselves with this flying car just yet, it is important that other new or specialist vehicles – such as the increasingly prominent electric and hybrid cars – are covered within a motor trade insurance policy. For example, road risks insurance can often stipulate which types of vehicles employees can and can’t drive, including high performance or classic cars, so be sure you get the right cover that allows staff to work on the types of vehicle you will come across within your business operations. An exact release date of the Terrafugia Transition has not been released yet but those keen to get their hands on the half-car-half-plane can reserve one through the company's website. The price is also somewhat of mystery but it is safe to assume that it will not come cheap. The Transition has already been made legal on US roads and is allowed to fly in and out of more than 5,000 airports across the country. The maker has also revealed that a new model – the TF-X – is being designed, with the company stating that the electric flying car will represent “the future of personal transportation”.